When you are presented with 1,200 exhibitors at a show, how exactly do you choose your highlights? When every stand is intimidatingly large, beautifully designed and presented and dripping with impressive products, where do you even begin? 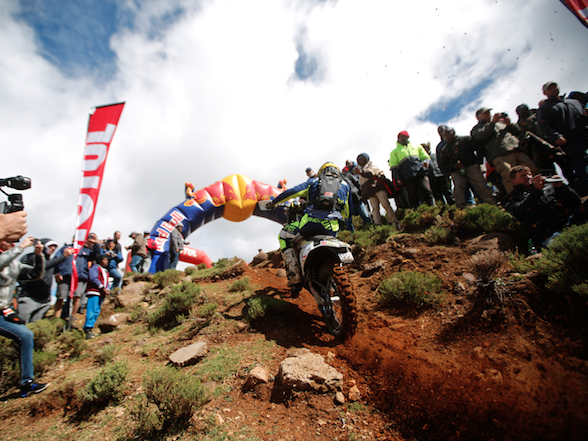 When new bikes and latest developments are coming at you thick and fast, which way do you look? 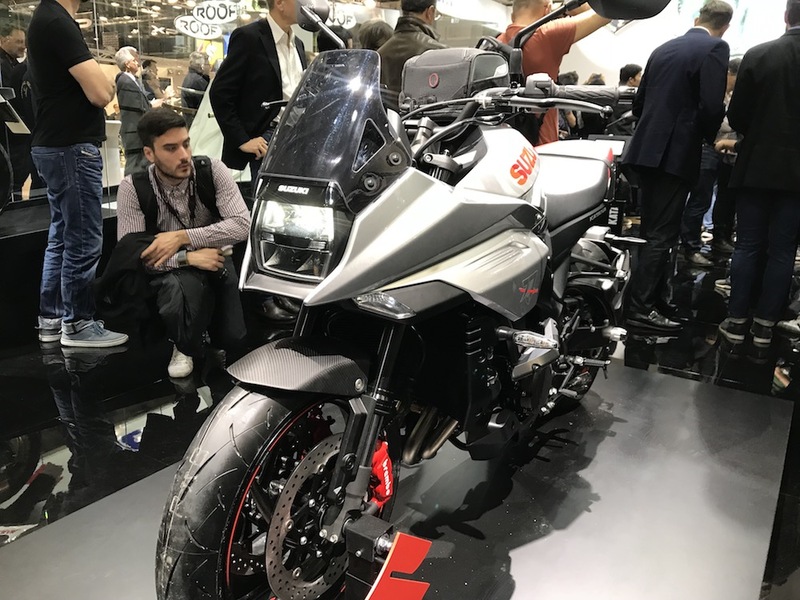 During the two days we spent at EICMA, there was too much to do to have time to reflect on what we had just seen; we had to concentrate on what was next. It is only with the benefit of a short period of time passing that one can start to disassemble the jumbled memories and place everything in some sort of order. So, what were the highlights? Well, first-off, the scale of the show. The FieraMilano exhibition complex on the outskirts of Milan is on a scale you have possibly never experienced. 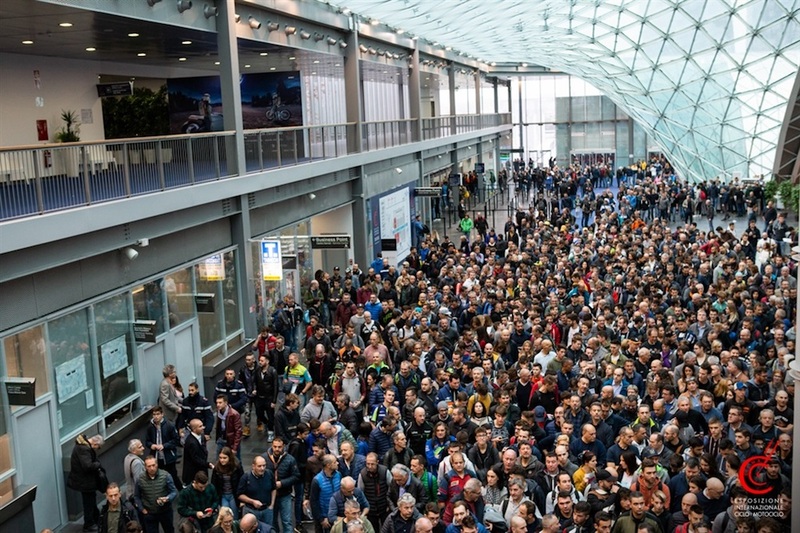 The EICMA motorcycle expo is the largest in Europe – possibly the world – and yet it occupies barely a quarter of the available show-grounds. Six halls accommodate the 1,200 exhibitors, none of whom it seems have a stand space smaller than a tennis court while many of the major manufacturers have stands the size of a football field. You can’t help but be slightly overawed by it all. During the two days, we each walked about 17kms per day. Yes, it’s that big! The EICMA Show official billboard showing a planetary body that can see Earth up close but isn’t the moon. Large motoring and motorcycling shows have always held a fascination for me; it’s the glitz and the glamour that impress the most. We were there to work but nothing could stop the inner child taking over and the excitement that I have always felt when walking into a large exhibition came flooding back, kid-in-a-candy-store style. In a way, I wish I wasn’t working and had the time to simply indulge in what was on offer but, by the same token, our credentials gave us access others could only dream of. 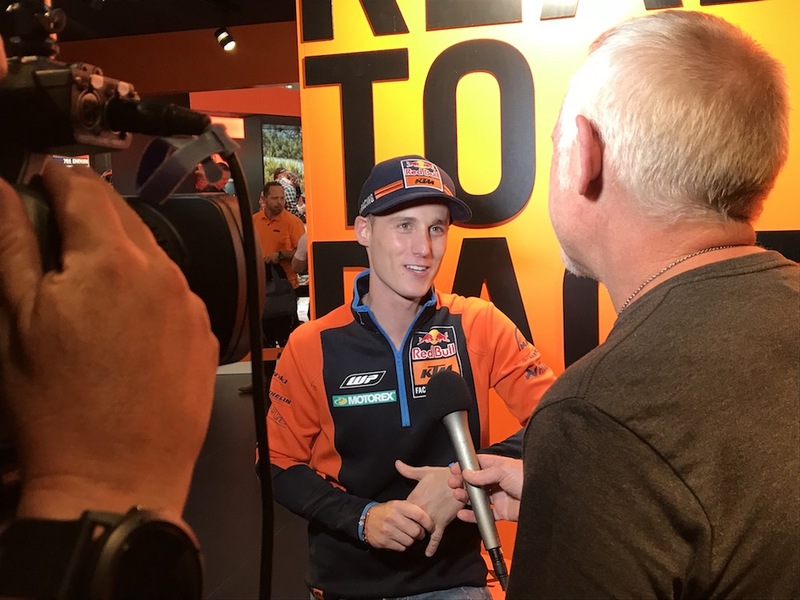 I mean, who gets to interview Pol Espargaro, James Toseland, Tom Sykes and Johan Zarco? 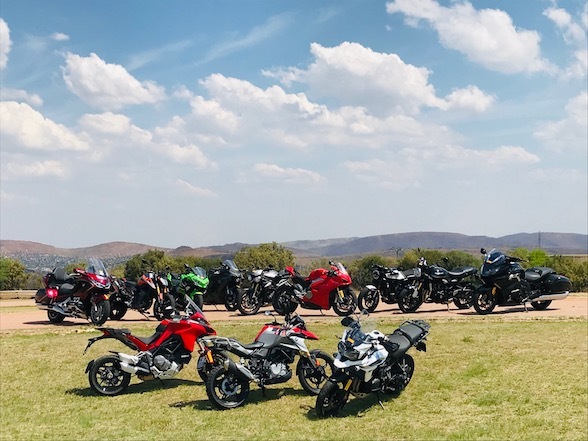 Who gets to talk to the head honchos from BMW, Ducati, Triumph, Suzuki, KTM, Husqvarna, Indian, Alpinestars, Bell and Shark and get the inside story? 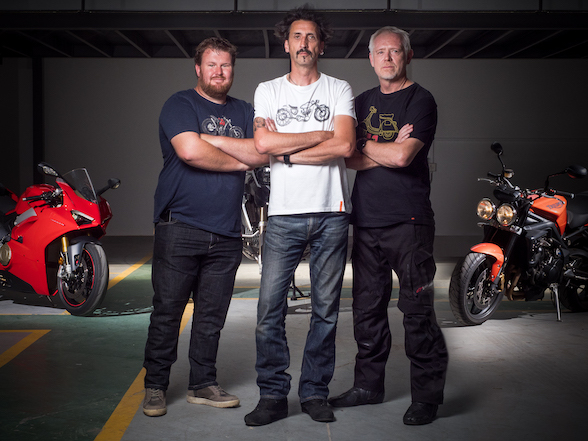 Who gets to see the new bikes, products and tech developments before anyone else? Who gets the halls largely to themselves for two days? There were so many personal highlights that it’s difficult to know where to start. But start somewhere I must so here goes! The new Triumph Scrambler 1200. Try not to get distracted. 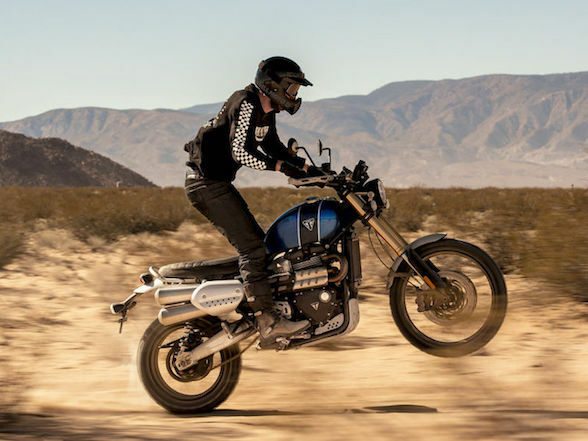 The new Triumph Scramblers look fantastic and promise to be very good off-road. 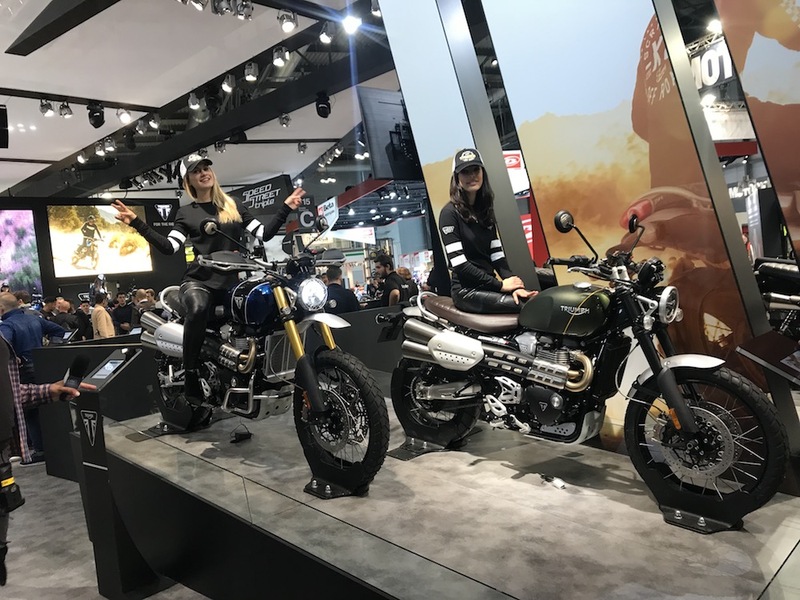 In fact, I could go as far as saying that Triumph could have started a whole new class of bike here; a retro bike that could rival a full-on adventure bike in terms of off-road ability, while weighing considerably less and therefore being much more manageable. Yes, it might lack the on-road mile-eating ability of an adventure bike but, when the going gets rough, I know which I would rather be on. 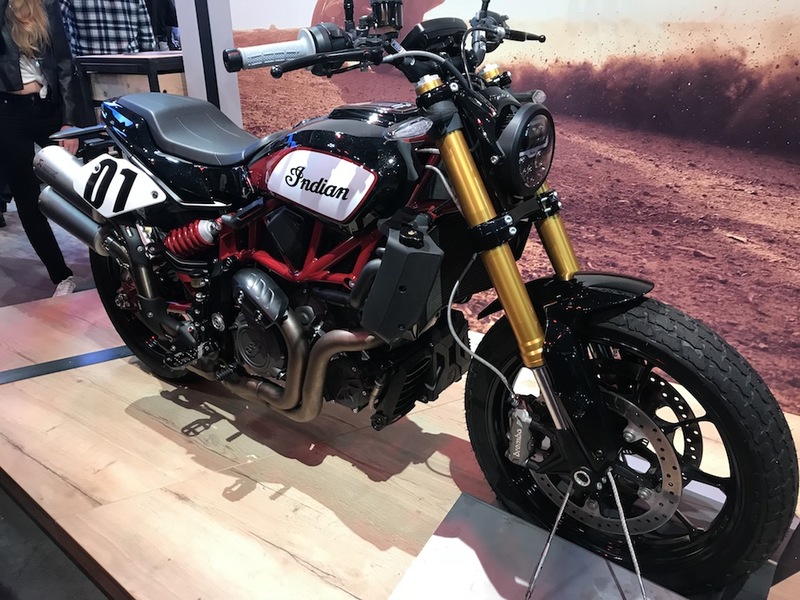 The new Moto2 engine was on display as well as a complete race bike, ridden into the arena by new Triumph ambassador James Toseland; it sounds amazing and a whole grid of them waiting for lights out at the first race of 2019 will be an aural treat. What a huge coup for Triumph; let’s just hope it lives up to the hype. The new Suzuki Katana. You should see it in black. Suzuki officially revealed the new Katana and, normally, that would leave me quite cold. However, seeing it in the flesh, especially in jet black, has completely changed my opinion. 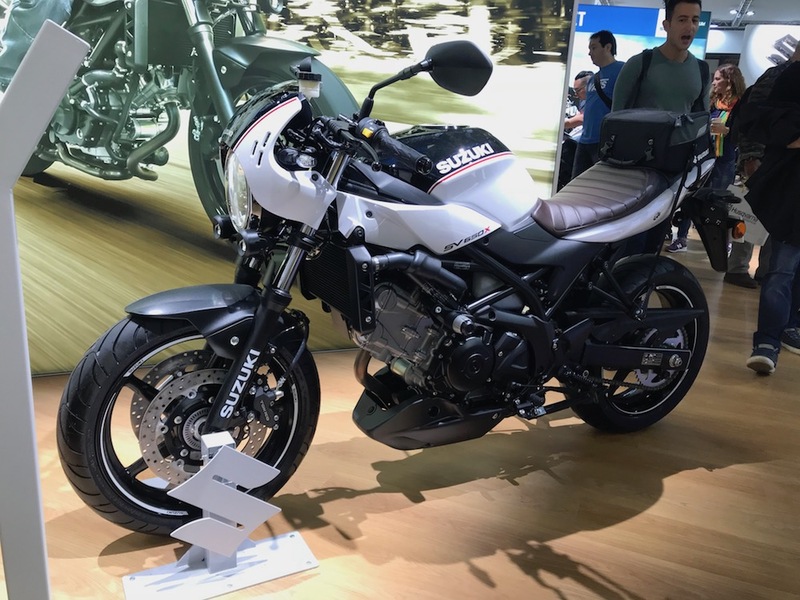 Given that it is based on the GSX-S1000F, a bike that has proved bulletproof and extremely capable in our endurance racing adventures, the new Katana marries style, performance and practicality in a distinct package. Expect it to sell like hot cakes. Another Suzuki gem was the new SV650X; cafe-racer style bolted onto the SV650. Clip-on handlebars, a headlight cowl, new seat design and cycle parts blacked out, it looked really cool and enhances what was already one of our favourite bikes from Suzuki. The Indian FTR1200 is enormously important for the company. In five years, Indian Motorcycles has gone from five models to twenty and yet, none are as significant as the FTR. This bike opens up a whole new market for them and they’ve gone to town with accessories that can make the bike practically what you want it to be. 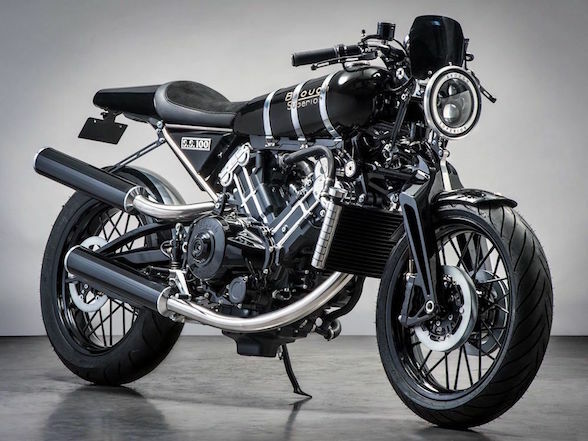 While it lacks the lithe, stripped down look of the prototype FTR flat-track racer, it’s still a great-looking bike and one that I can’t wait to swing my leg over. There are plenty of new bikes, but not all of them give you that feeling. The new BMW S1000RR. Eyes on the motorcycle, gentlemen. 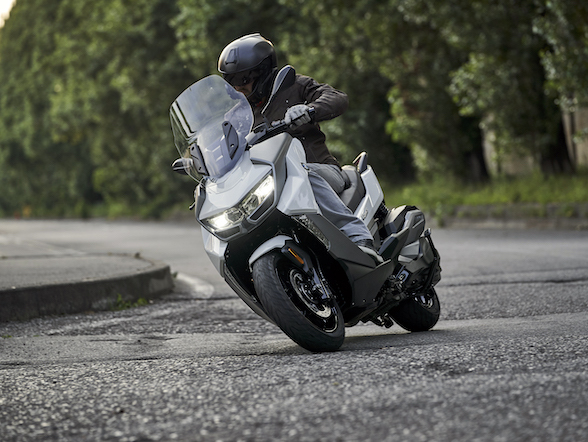 BMW released six new models – C400 maxi-scooter, R1250GS, R1250R and R1250RS and F800GS Adventure – but it was the sixth and last that really gets the blood coursing; the new S1000RR. I know I will never be able to use more than 30% of the bike’s ability and performance but that doesn’t stop me wanting one! 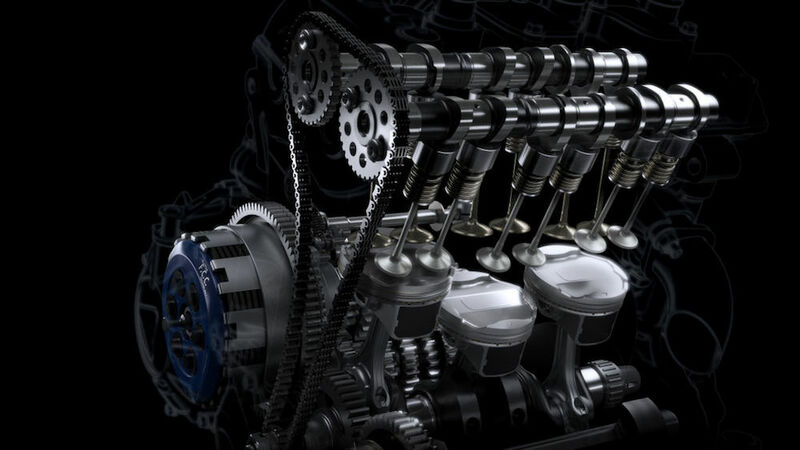 As you would expect, it’s lighter, more powerful, better-looking and has to be better in all aspects. Some will lament the passing of the asymmetrical headlights but the new front aspect is a lot meaner. 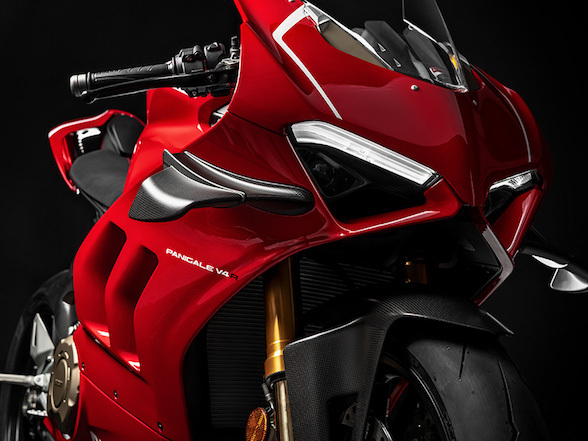 The beautiful Ducati Panigale V4 R. You might notice a lady in this pic if you look hard enough. 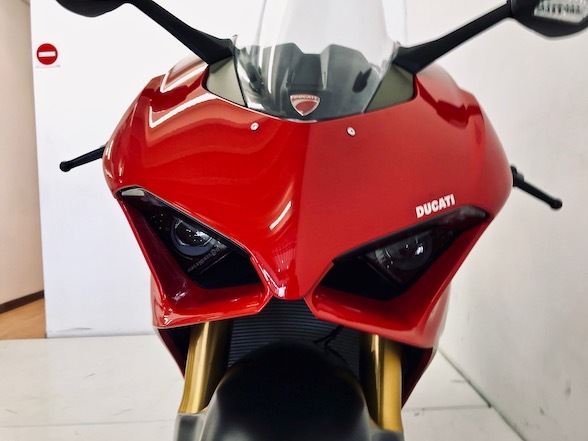 Ducati showed their new homologation V4 Panigale, the V4R. A capacity reduction to just under 1000cc makes it eligible for WSBK racing but don’t expect it to be cheap. Also on the Ducati stand were race bikes from MotoGP and WSBK and don’t they just look amazing! 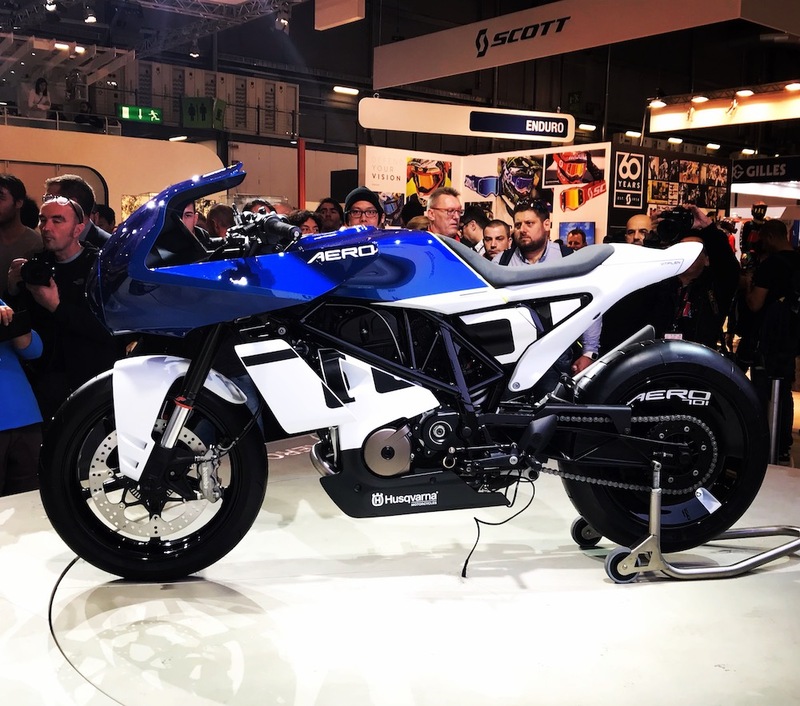 The Husqvarna Vitpilen Aero needs to be put into production quickly. 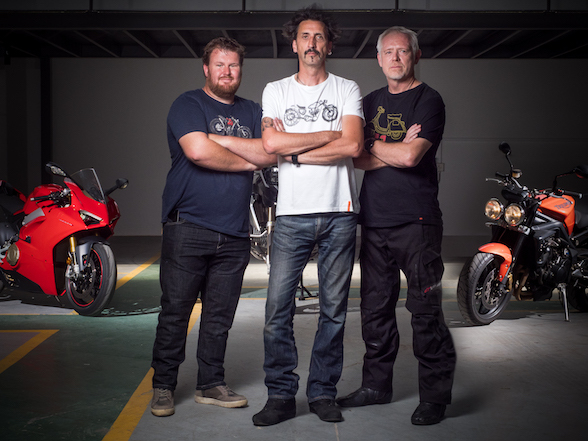 Husqvarna shocked the world when it put its radical Vitpilen and Swartpilen models into production barely a year after showing the concepts. There are now 401 and 701 versions of both but what really caught the eye was the new Aero concept. Basically, it’s a cafe racer version of their..er…cafe racer, except this one has a stunning bikini fairing applied and it looks even better than the naked version, if that was possible. If past activity is anything to go by, then expect it to become reality soon! 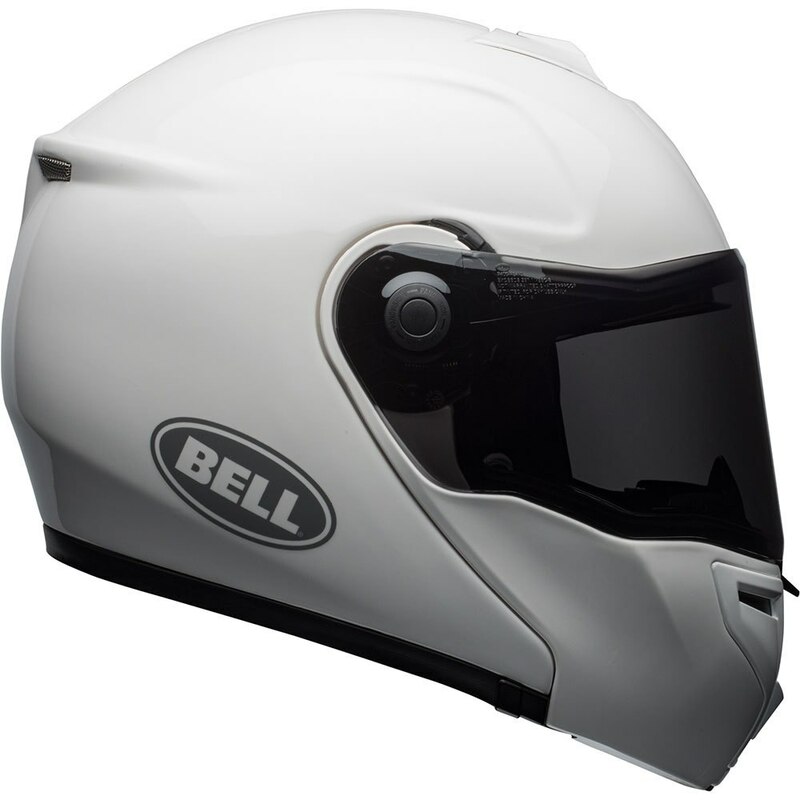 The Bell SRT Modular flip-up helmet. I am a big fan of Bell helmets but I also like my flip-face, or modular, helmets; something that has been lacking from the American manufacturer for too long. But things have just got better; on the Bell stand was their new SRT Modular model and, while you will have to wait until I get my hands on one to give you a full report, it is exactly what I have been waiting for. Initial examination showed a smooth mechanism and easy release catch and a slide-down tinted visor, giving the best of both worlds. Trying it on proved nothing, really, except to say it felt well-made and comfortable but only a few hours in the saddle with it on will prove any more than that. Like all Bell helmets, it should be well-priced while international standards mean that it will match any of the other big manufacturers in safety performance. So, there you have it; a few personal highlights. But, in all honesty, the whole show was a highlight of my year. 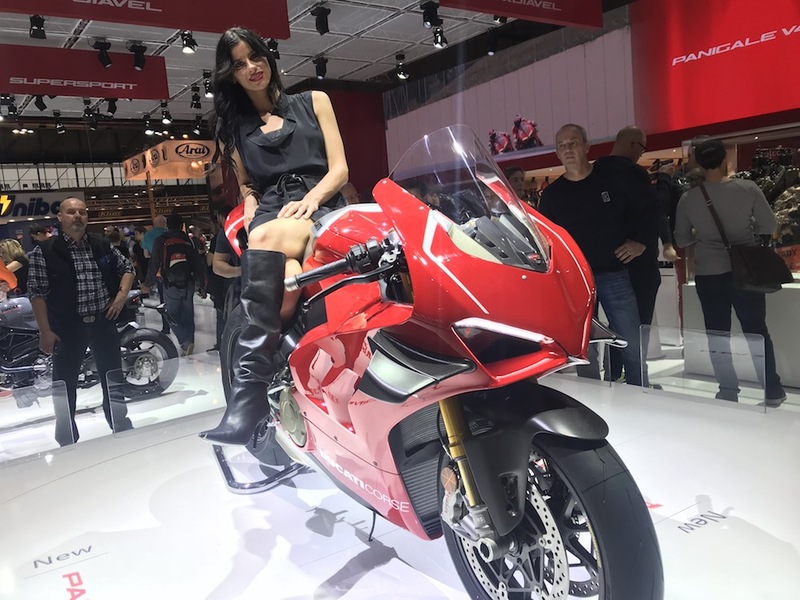 Normally, at this time of year, things start to quieten down but to be in Milan was to finish the year off with a bang and give us renewed appetite for next year, even if the wait for the new models to arrive will be all the more agonising now! 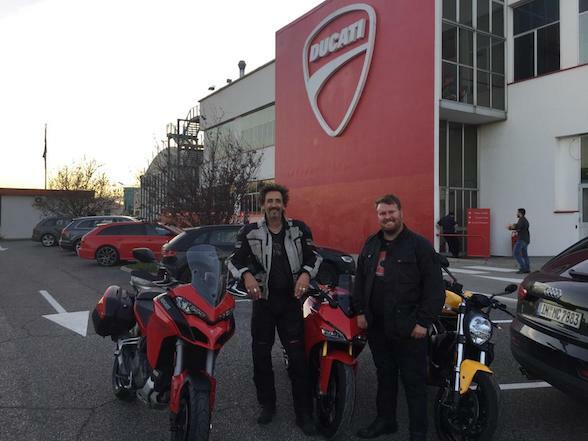 If you’ve ever thought about going to EICMA but have always put it off, sort yourself out and make plans for next year; there is no way you will regret it. But a word of advice; take a really comfortable pair of shoes!